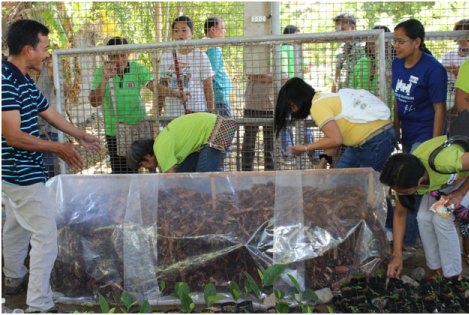 The Municipal Government of Villasis, Pangasinan through the Office of the Municipal Agriculturist in collaboration with the Office of the Provincial Agriculturist-San Quintin Station and with the initiative of Former Mayor Libradita G. Abrenica and members of the Ladies Brigade of Villasis, Inc., conducted a Hands-On Training on Mushroom Production on March 1, 2017 held at Villasis Livelihood Training Center (VLTC), Barraca, Villasis, Pangasinan. 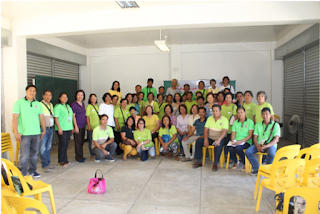 The training was participated by 38 members of the Ladies Brigade of Villasis, Inc. (LAB) from the different barangays of Villasis. The training aims to equip the participants in mushroom production, awareness on the use of farm by-products into mushroom substrates and serves as an alternative livelihood and job creation in the barangays particularly on women sector. The one-day training was conducted through hands-on approach. In the morning, resource speakers from the OPAG-San Quintin Station devoted lectures and instructions such as Mushroom Varieties Grown, Stages of production, spawn culture and livelihood and income opportunity on mushroom production. In the afternoon, hands-on activities was undertaken such as the preparation of mushroom beds, planting of spawn, maintenance of mushroom bed and harvesting. Post training evaluation was also done. In the opening program which was attended by Mayor Nonato S. Abrenica, stressed out the important role of women and their participation in the community. He said that the training will serve as an alternate livelihood and job opportunity among rural women in line with the municipality’s Livelihood and Job Generation Program.